Sony to Release Both the Xperia Z4 and Xperia Z5 in 2015! Is this for real? Latest leak claims that Sony is apparently all ready for releasing its Sony Xperia Z4 in the middle of this year – which sounds quite a little real. But, the leak also claims that Sony will be all set to release Sony Xperia Z5, the Z5 Compact and Sony Xperia Z5 Ultra in the end of 2015. While we have only very recently started to get some on-the-mark leaks of Sony Xperia Z4 with benchmarks and real life images, it seems like the tech manufacturer might just be all set to release two flagship smartphones before we say goodbye to 2015. It of course doesn’t come as very surprising to see Sony being ready to launch two flagship smartphones in one year as the company has been doing so in the past. Sony had pushed back the idea of launching two flagship models in a single year after losing on huge profits. Profits kept aside and judging only from the amount / quality of leaks and insider information around Xperia Z4, it seems quite unlikely Sony would be able to launch both Z4 and the Z5 in this year. But, we might be in for some surprises. Sony was rumored to have pushed the Sony Xperia Z4 well after the spring keeping the already available data in mind. The leak does give a bit of a warning that Sony might push the Xperia Z5 and the co forward to early 2016 if Snapdragon 820 processing chip is not ready for the smartphone for a fall 2015 launch. 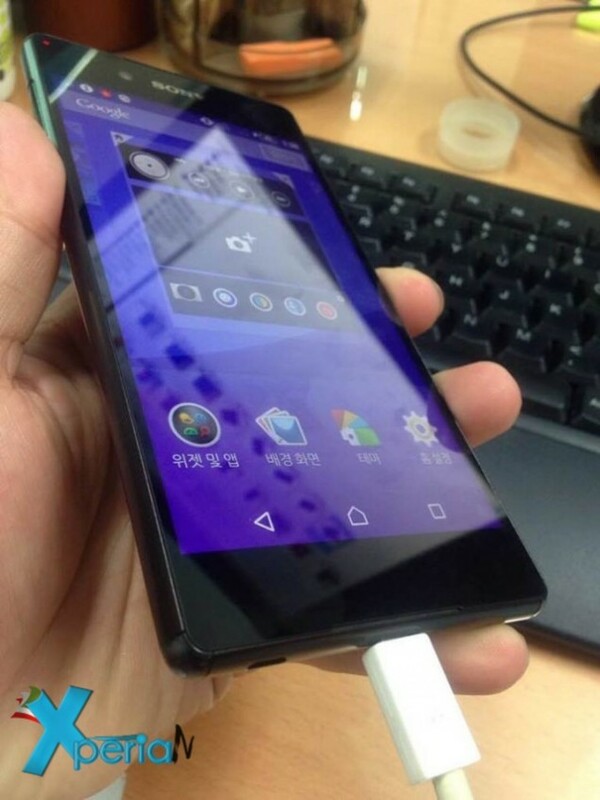 This leak further claims that Sony will launch a completely re-designed flagship smartphone starting from Xperia Z5. The smartphone will sport a Quad HD display screen for all markets, have a 4 GB of RAM, and new camera sensors. Sony has been using the Omni-Balance design for its flagship smartphones for almost five generations now. Fortunately, the Xperia Z4 is said to be the last Sony Xperia flagship smartphone to feature this design language. Our source says the Xperia Z5 will feature an all-new design, bearing very little in common with the Xperia Z4 and previous Z series flagship smartphones from Sony. What comes off quite odd is why would Sony go through the troubles of launching Xperia Z4 with no design changes and slight hardware upgrades that late in the year if it had to launch a completely re-designed Z5 in the same year? And if there were any production concerns in the process, may be Spring 2016 would be a better idea to at least have Xperia Z4 some sales rather than a January 2016 launch date? Well, all we can say right now is that Sony might be in for colossal design changes for the Sony Xperia Z5 considering quite a silence in its design department for over a few years. However, take this launch date speculation with a bucket of salt. Don’t literally do that, okay? One more quite interesting bit: the leak, citing insider sources, further claims that Sony will fit its first ever fingerprint sensor in the Xperia Z5 Ultra phablet. Flagship smartphone is getting no love even after a design overhaul! Sad.